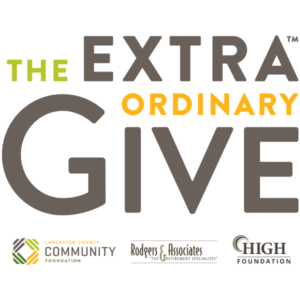 Will you be our hero during the Extraordinary Give? At this year’s ExtraGive, we will set up in Penn Square outside the Blakinger Thomas, P.C. Building. Stop by to win prizes and participate by painting on the community canvas. Another canvas will be set up to showcase the live painting of local artist Loryn Spangler Jones, owner of LSJ Studios. The final piece will be her interpretation of the services YWCA offers, including child care, housing placement, and sexual assault support. Learn about YWCA Lancaster’s ExtraGive event: extragive.org/organizations/ywca-lancaster.